Drawing Pencil Sketches, why artists do this and how. Drawing pencil sketches on an oil painting site? It’s an integral part of your oil painting process and in the growth of your eye to hand co-ordination. On my learn to draw page I talk a little about that, but go straight into short cuts to get you painting quickly without doing a great deal of drawing. We used carbon paper, grids, or a projector to get your drawing onto your canvas. Now, we will learn some time honored traditional drawing techniques that will help both with your oil painting, and who knows, may open some doors for those that want to explore graphite and charcoal drawing as a finished art form. Below are a few examples of finished drawings that usually start out as sketches, then develop into a full fine art piece. Clicking on any image will supersize it. 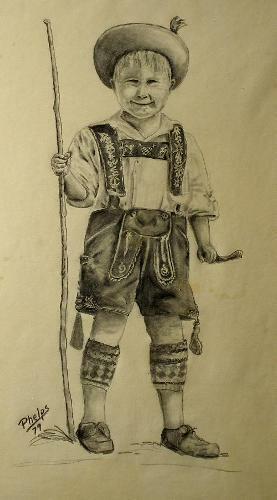 An earlier drawing of a child in traditional lederhosen (leather pants) outfit. My friend Joseph Christmas. We spent time in technical school together while I was in the Air Force. Being stationed near Biloxi Mississippi, we didn't miss out on Mardi Gras, New Orleans. Good time, good memories! My rendition of a Robert Bateman done in pencil. 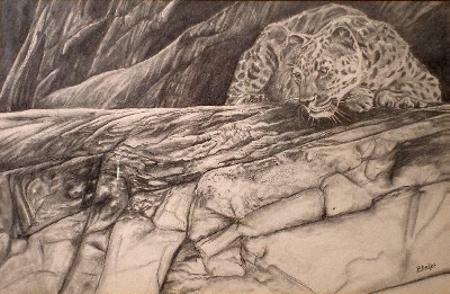 Leopard on a ledge was an exercise in concentration to maintain the rock face into a believable representation of rock. It is a study, and not for sale. It was for my own purposes in seeing if I could stick to a complex drawing without giving up. Drawing pencil sketches, why do we do it? They don’t really qualify as a pencil sketch, do they? The first may qualify as it was done in less than an hour, the other two probably not due to them taking a bit longer. And the definition of a sketch is something done quickly. I did, however, want to show you the power behind the simple 2B pencil and a kneaded rubber eraser. That's right! Pencil, eraser, paper. That's it! With only these three items, you can really produce a powerful and quality product for yourself, your friends, family, or art buyers! Now, it’s back to school! And time to get down to business with drawing, and no greater place than with drawing pencil sketches. These are done early in the oil painting process to help you develop a great composition. 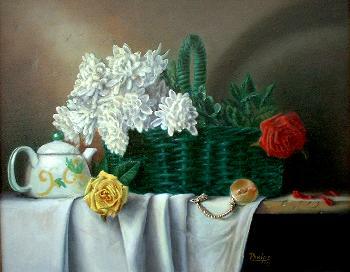 Whether it is the still life, a flower, a portrait or a landscape. The thing you are after is a drawing that simply put, is done quickly (and accurately), and will give you a good sense of the finished product. 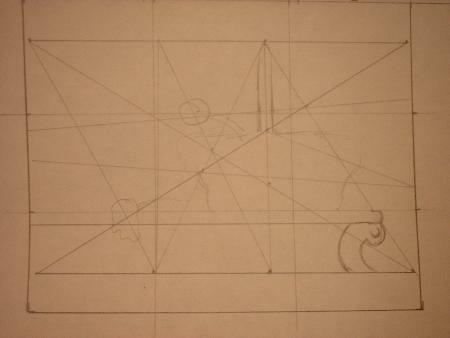 You are drawing mainly to see if the composition you are putting together is going to work. We call these “thumbnails”, as they a small drawings. 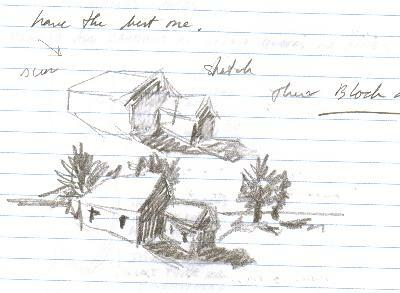 Here’s a sketch from my journal done while investigating a landscape that would include buildings, and then several of the still life used in composition pages of the site. Pencil sketches of a still life below. This is a composition check. These are actual photo's from my journal using pencil sketches to develop a great medium sized still life oil painting. 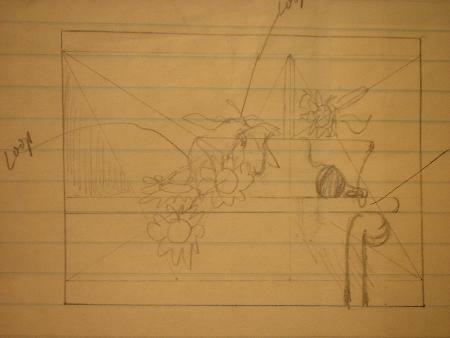 Another thumbnail drawing of the same subject matter with additional flowers added to the drawing. The sketches helped me decide exactly where I wanted those sunflower blooms to lay within the picture. If you see in the painting, I didn't even use it, but developed a whole new direction! Now that you have the idea, go out and try a few! These really are simplistic sketches that just get the ball rolling. Drawing pencil sketches will improve your ability to create great compositions, it will also improve your eye to hand co-ordination each time you work one. It is a simple expression of what you see. No need to get too elaborate with shading and details during your first attempts. Just squint your eyes and get the main masses and objects. Going more for accurate proportions and sizing of the objects being drawn. How important is this you ask? Well, this painting below is a direct result of drawing pencil sketches of the subject matter before executing the painting and verifying that the composition was going to be the best it could be. It also helped me greatly in deciding the objects I would use within the painting. 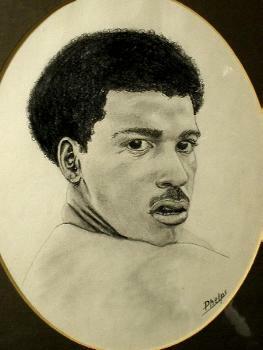 Are you interested in more about drawing? Would you like to see the latest demonstration of a drawing? Sign up for my newsletter and never miss a new demonstation! Click Me to get full details on my monthly newsletter!